Unless your running with an accentuated heel strike with an out-stretched leg well in front of your center of gravity then I say no. Why? Because there are way too many variables involved with running that could lead to injury. Mainly intensity and distance. As Mark Cucuzzella, MD likes to say “running injuries are caused by running”. The injuries they are supposedly linking to, are indirectly related to the foot strike pattern. Meaning if you change your foot strike pattern you need to transition slowly or you will increase injury. Not because you’re barefoot or in a minimalist shoe, but because you “changed” your style of running and your body needs to adapt. See what Amby Burfoot has to say. Two new studies link footstrike to different injuries. 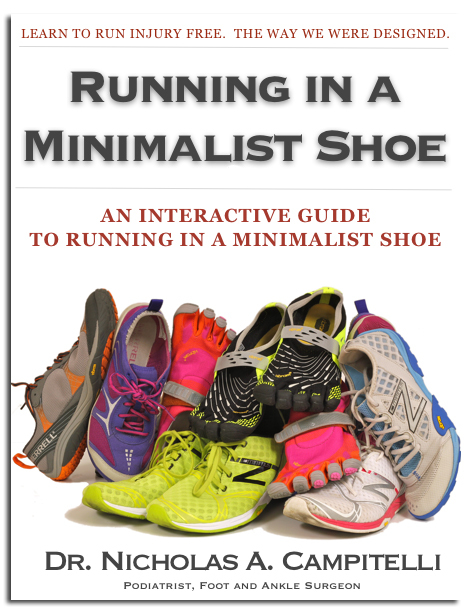 While sales of minimalist shoes have dropped sharply, scientific interest in barefoot running and minimalist shoes remains high. In particular, everyone would like to answer one simple, but very complex question: Can barefoot running or minimalist shoes or forefoot striking reduce injuries? Two new studies by widely acknowledged shoe experts reach the same conclusion: We don’t know yet, and we may never know, due to the many variables involved. At the same time, both point to the possibility that different footstrike patterns might cause or prevent specific injuries. This leads to the intriguing possibility that runners could decrease problems with their known injuries by adopting one style of running over another. South African running experts Tim Noakes and Ross Tucker go even farther. In their paper they enumerate five common running injuries, and speculate about how barefoot running (or forefoot striking) might affect each. Note that many researchers use “barefoot running” and “running with a midfoot/forefoot strike” as virtual synonyms, even though some studies have shown differences between the two. 1. Tibial stress fracture: Possibly decreased by barefoot running, but be extra careful about your transition time from cushioned shoes. 2. Metatarsal stress fracture: Possibly increased by barefoot running. 3. Knee pain: Possibly decreased by barefoot running. 5. 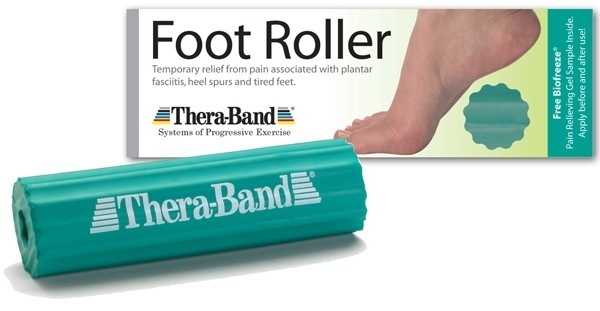 Plantar fasciitis: Possibly decreased by barefoot running, but only after a gradual and successful transition from cushioned shoes. All credible researchers in the field agree that bad training practices – ie, too much, too soon, too fast – are the major cause of running injuries. Also, that good running technique may be more important than shoe selection, and that individual runner variation trumps any general rules. 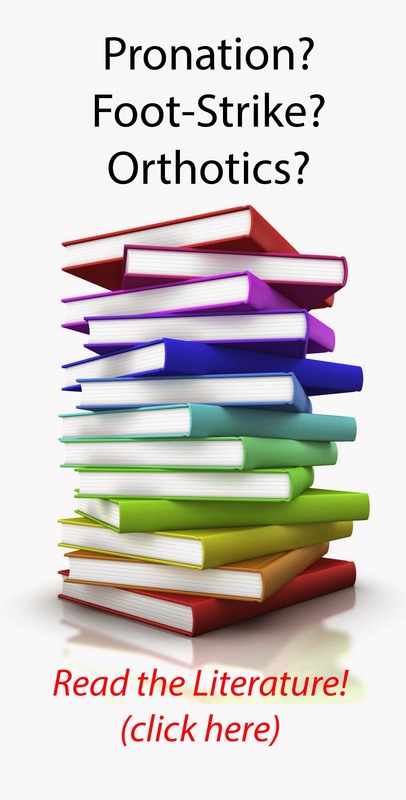 They conclude: “There remain more questions than answers at present. Future research may elucidate some of these answers, but current advice, based on tenuous justifications and associations between biomechanical factors and injury do not by themselves constitute a compelling argument for barefoot running. 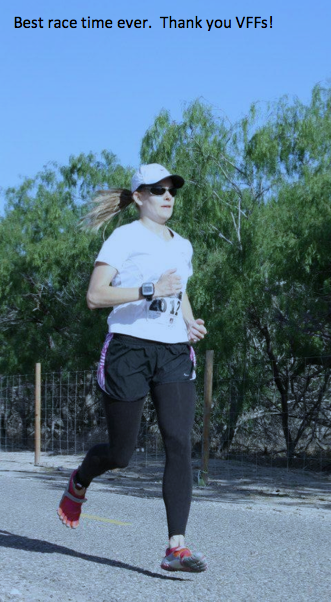 Transitioning to a Minimalist Shoe: Val’s story of successfully overcoming chronic knee pain.